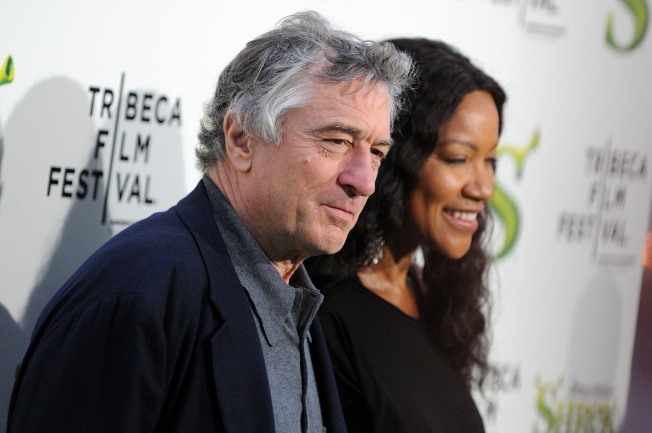 Robert De Niro Turns Up the Laughs on "Saturday Night Live"
It’s not often that one gets a chance to see movie tough-guy Robert De Niro poking fun at himself, whether it’s getting his New York landmarks wrong or by portraying the mom of an untalented hip-hop star. But that’s what he did last night during his guest hosting stint on “Saturday Night Live,” which comes at the eve of his upcoming film "Little Fockers"--the latest installment to the “Meet the Parents” franchise. In his opening monologue, De Niro joked about his “SNL” appearance: "I’m really hoping it’ll kickstart my movie career." Then he started to wax poetic about his town New York, but he mentioned places that had nothing to do with the Big Apple: Epcot Center, the City of Angels, land of a thousand lakes, and the home of the Atlanta Braves. Several audience members tried to address those flubs but were dealt accordingly by DeNiro’s people. De Niro was also a guest along with the actual Robin Williams and Lindsey Buckingham (Bill Hader) on the "What Up with That?" Talk show The actor got annoyed at being interrupted as he was trying to make a point when the show's host (Kenan Thompson) every time broke into a gospel-like song. It can also be tough for De Niro just for being himself. In a sketch that takes place during the shooting of “Little Fockers,” a little Kid (Bobby Moynihan) visiting the set gets excited about meeting the production crew and Ben Stiller (who makes a cameo) but gives DeNiro the cold shoulder. The aforementioned Diddy was the musical guest as part of his latest project, Diddy Dirty Money. Their performances were an amalgam of hip-hop and rock music. Other notable moments from last night’s episode included a skit t highlighting "WikiLeaks TMZ," which takes a tabloid view of world leaders being videoed in unflattering situations. On Weekend Update, anchorman Seth Meyers’ guests included the Kardashian sisters (Bayer, Abby Elliott, Nasim Pedrad) addressing the controversy surrounding their credit card, and an understudy from the troubled Spider-Man Broadway musical. in a Spidey costume hanging (and apparently stuck) upside down. Next week’s host will be Paul Rudd with musical guest Paul McCartney.